Lock in a great price for Ellerman House – rated 9.1 by recent guests! 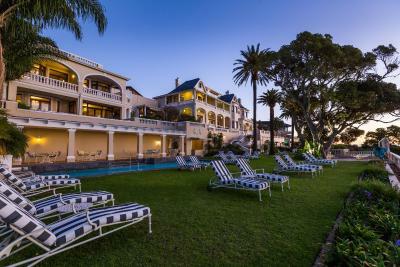 Located in Bantry Bay, perched on the slopes of Lion’s Head lies the elegant mansion Ellerman House. Featuring panoramic views of the Atlantic Ocean, it features a lush garden, outdoor swimming pool and offers a complimentary airport shuttle. Individually decorated rooms with classic furnishings come with a balcony or terrace. Each room is equipped with a satellite TV, safe and tea-and-coffee-making facilities. Ellerman House restaurant serves breakfast daily and offers a variety of cuisines with the influence of Cape Malay spices and fresh organic fruit and vegetables. Guests can enjoy a glass of wine at the bar. The spa features a sauna, steam room and a selection of treatments available upon request. Facilities include a fitness center, wine cellar and art gallery. Free WiFi is available. V&A Waterfront is within 3.7 mi, Camps Bay is a 5 minutes’ drive and Table Mountain is a 10-minute drive away. 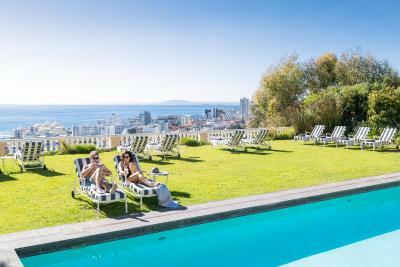 When would you like to stay at Ellerman House? This classic, air-conditioned room is equipped with a flat-screen satellite TV, a complimentary mini-bar and a seating area. The private bathroom includes a bath, shower and free toiletries. Featuring panoramic views of the Atlantic ocean, this bright room is equipped with air conditioning, a flat-screen satellite TV, complimentary mini-bar and a seating area. This elegant, air-conditioned room features a private terrace with panoramic views of the Atlantic ocean. It is equipped with a satellite TV, complimentary mini-bar and a seating area. This spacious, elegant suite features a balcony with views of the Atlantic ocean and comes air conditioning. It is equipped with a large living room and dining area, a complimentary mini-bar and a flat-screen satellite TV. The bathroom includes a bath and free toiletries. This warm, air-conditioned room features panoramic views of the sea and access to a shared deck and pool. It is equipped with a flat-screen satellite TV and a complimentary mini-bar. This spacious villa features a private lounge and an entertainment area with deck an pool. It includes a dining room, a fully equipped kitchen, a library, a study, and elevator. *a free wine tasting from the wine cellars. This spacious and modern villa includes private deck and plunge pool. It has an open plan living area with dining room and kitchen. 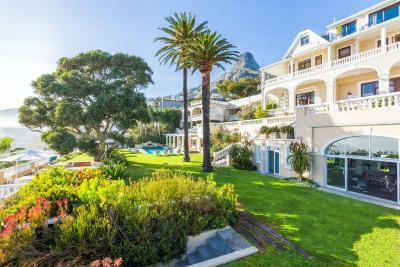 Private and exclusive, Ellerman House offers 13 rooms and suites, a tranquil spa, two ultra-modern villas, indigenous gardens, spectacular Atlantic Ocean views, and easy access to local attractions. Modern cuisine, an interactive cellar of vintage wines, and an extensive art collection, enhance a world-class experience that is authentically South African. House Rules Ellerman House takes special requests – add in the next step! One child from 14 to 18 years is charged 100 % of the room stay per night and person when using existing beds. Cash Ellerman House accepts these cards and reserves the right to temporarily hold an amount prior to arrival. Ellerman House accepts these cards and reserves the right to temporarily hold an amount prior to arrival. Please inform Ellerman House of your expected arrival time in advance. You can use the Special Requests box when booking, or contact the property directly using the contact details in your confirmation. Service was quite outstanding from start to finish. The location, all of the facilities, bedroom and food (breakfast lunch and dinner) were all excellent. The art is an added bonus and anyone visiting should spend a little time exploring all that is on show. A really outstanding hotel.